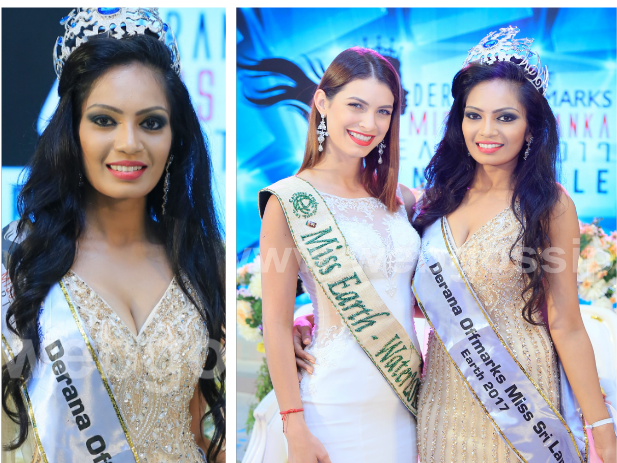 Shayama Danayaki of Kurunegala was crowned The Derana Offmarks Miss Sri Lanka Earth 2017 on August 14, 2017. Shayama bested 8 other beauties and succeeded last year's winner Dimanthi Edirirathne. The crowning event was graced by Miss Earth Water 2016 Stephanie de Zorzi from Venezuela. Shayama will fly to the Philippines in October to represent Sri Lanka at the Miss earth 2017 competition.